We are a comprehensive podiatry office located in both Rohnert Park and Santa Rosa. We provide excellent podiatric care to our patients in a comfortable, friendly and relaxing environment. Our state-of-the-art office is equipped with the most modern diagnostic equipment and Dr. Thomas Fitzgerald has the experience to treat all of your foot care needs. Dr. Fitzgerald is proud to deliver an accurate diagnosis and effective treatment. At Step Up Podiatry, we specialize in reconstructive and cosmetic surgery of the foot, wound care, corns, calluses, ingrown toenails, and heel pain. 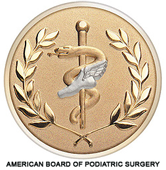 Dr. Fitzgerald is Board-certified in podiatric surgery. Some foot conditions not only cause patients discomfort and pain but are often unsightly and cause embarrassment. We treat many of these with cosmetic surgery.If you are suffering from pain or a deformity in your ankle or foot, we sometimes suggest reconstructive surgical intervention to help alleviate pain, reduce deformity, and restore function. Heel pain is most often caused by overuse, instead of an injury. Heel pain as a result of overuse can be due to many things, including wearing shoes with poor support, running too often or landing too hard or awkwardly on your heel. Connective tissue that runs from the toes to the heel bone causes heel pain, also known as heel spur syndrome. Dr Fitzgerald has been working with me on my severe foot pain for several years. Both feet required surgery, however, knowing how difficult of a recovery it can be, he did not push the issue on me until I was ready. I am now 3 months post surgery and very happy with my results. He was upfront and honest about every aspect of my surgery, before, during, and after. I will be doing surgery on my other foot in a year or so using him as well. I highly recommend him to anyone who is looking for a honest and forthcoming doctor. Love love this place...very gentle and great staff. I have been going to Dr. Fitzgerald for years and I think he's fabulous. :) He's very nice and very caring to my needs. I totally recommend him to my family and friends. In fact, my Mom and my Grandpa both think he's terrific!